IGBeauty Studio is a first-class cosmetology and laser clinic in Toronto. We provide a clinic atmosphere that is safe and professional - a comforting environment offering a wide array of skincare services. Our professional team includes a Registered Nurse, Medical Aesthetician, and Laser Technician. We also have a staff of skin care specialists with many years of industry experience. Our clients count on us for high quality skin care products and superior treatments. As a premier skincare studio and laser clinic in Toronto, IGBeauty offers a comprehensive range of cosmetic, therapeutic and laser procedures. It’s all under professional supervision, and our laser hair removal treatments are both safe and effective, FDA approved and abiding by the strict standards of Health Canada. Simply put, the team at IGBeauty wants every client to look their best and feel their best, with skincare and aesthetics that combine natural products with today’s latest equipment and technologies. IGBeauty offers skin care treatments for every type of skin, and every type of skin condition. From acne treatment, to deep cleansing facials to microneedling to Collagen Induction Therapy, our skincare experts will personalize a solution that enhances the skin, while affording potential long-term remedies. We can non-invasively remove skin tags, reduce facial redness or you can even try a hydrating jet peel for skin rejuvenation. Our staff is licensed, consistently upgrading their education with courses and training. Let’s face it, we all wish we aged gracefully. In order to help reverse the signs of aging IGBeauty has combined their expertise in the beauty industry with leading edge technology. We will tighten your turkey neck, contour your jaw line, reduce double chins and under eye bags. If you are looking for a non-invasive way to reduce body fat and cellulite we recommend treatments of Pollogen Maximus with TriPollar & TriFractional Technology. Clients who are looking for a cosmetology and laser clinic in Toronto will find their ideal balance of natural products and leading-edge technology at IGBeauty Studio. Everyone deserves to feel comfortable in their own skin. At IGBeauty we truly believe with our variety of laser skin resurfacing and retouching treatments we have a service to fit everyone’s needs and skin conditions. At IGBeauty Studio we provide full range of Skin Care Treatments include but not limited to: Deep Cleansing Facial, Acne Treatments, Medical Facials, Organic Facials, Oxygen Facial, Jet Peel Facial, Natural and Chemical Peels and more. Say Goodbye to other hair removal routines! Using the latest Lumenis LightSheer® DUET™ laser, we perform non-invasive pain-free laser hair removal treatments. A safe Health Canada and FDA approved laser. A non-invasive way to beat anti-aging! Try a non-surgical facelift to firm & tighten skin and reduce wrinkles and turkey neck, contour your jaw & more. Rejuvenate your skin with treatments of TriLipo Med & feel young again. 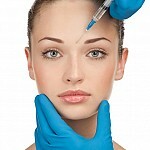 We take cosmetic injections seriously at IGBeauty. With our trained certified injector you can be assured of the quality and the cleanliness of our injectables. We offer: BOTOX®, Dermal Fillers, Teosyal Redensity, Platelet Rich Plasma, & more. Combining nature and technology, IGBeauty achieves effective results with cellulite reduction, & body contouring. Treat your turkey neck, reduce tummy fat, firm your double chin, sculpt your buttocks, rejuvenation hand skin & more. Remove hair quickly and effectively right from the hair follicle with waxing treatments. Many men and woman commonly remove hair from these areas : legs, underarms, bikini area, back or chest, arms , full Brazilian, eyebrows, face and more. Treat yourself to an amazing spa day with a manicure and pedicure in Toronto. Our specialized techniques originates from German technique which in Europe is called an Apparatus Pedicure (or Medical Pedicure, Gehwol Pedicure).